This is the slippery slope that we have been warned about. Ever since the violent clashes that afflicted Charlottesville a couple of weeks ago, statues of Confederate army generals and soldiers have been removed all around the country. Regardless of how the local citizens feel about them, politicians are so cowed by the possible outcry from loud activist groups that the memorials are being taken down without debate or consultation. It appears nobody has the spine to defend free speech, even hateful repugnant free speech, from an angry mob. Now the righteous hordes have cast their indignant nets wider to tear down other commemoratives they find offensive. Annapolis removed a statue of former Chief Justice of the U.S. Supreme Court Roger Taney because he wrote the misguided Dred Scott decision, the one that affirmed slavery in the United States. Though a terrible decision in retrospect, it was representative of the thinking of 19th century America and a teachable moment for today's society. Now his figure won't be present to remind people of the mistakes we have made in the past and to avoid in the future. 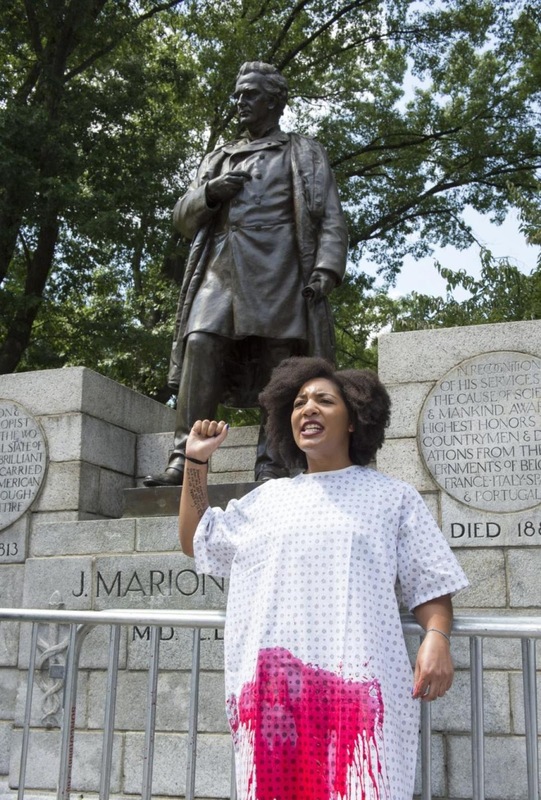 The next unlikely statue to be beseeched by the PC crowd is of Dr. J. Marion Sims. He is called the father of modern gynecology and founded the first women's hospital in 1855. His statue in Central Park, New York is facing angry calls for removal. What was his unforgivable sin? In the early 1800's he experimented gynecologic surgeries on African American slaves, frequently without any anesthesia. As one protester says, "At best, J. Marion Sims was a racist man who exploited the institution of racism for his own gain." Another decried, "Memorializing of imperialist slaveholders, murderers, and torturers like J. Marion Sims is white supremacy." Already a statue of Dr. Sims in Columbia, SC is facing an uncertain future as Mayor Steve Benjamin has called for its removal. Says the mayor, "The most offensive statue I find on our capitol wasn't the (Confederate) soldier, it was J. Marion Sims." Looks the the doctor won't be welcome for long even in his native state. So next time you nod your head in agreement with violent thugs who refuse to let a small minority of incorrigible racists express their right to free speech, just remember that the next target for censure might just be your own views. And there might not be anyone around to defend you anymore.